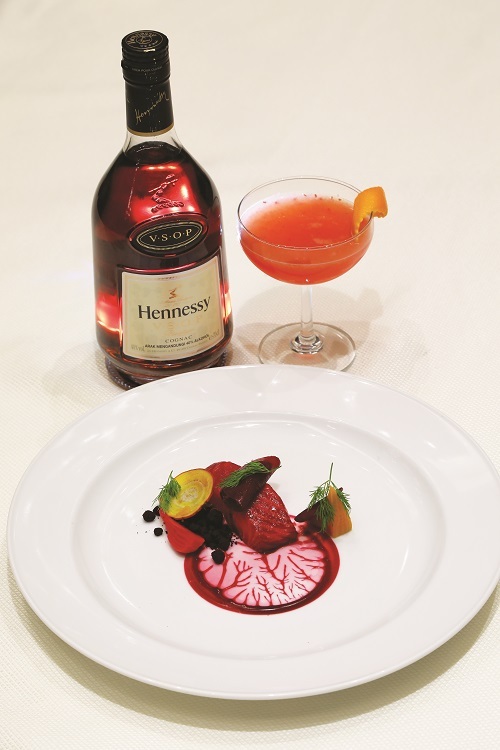 Hennessy’s exceptional cognac-making heritage and Chef Ryan Clift’s culinary expertise converge at the St Regis Kuala Lumpur. For four days last month, Chef Ryan Clift of Singapore’s Tippling Club wowed guests with his creations at The Brasserie, St Regis Kuala Lumpur. 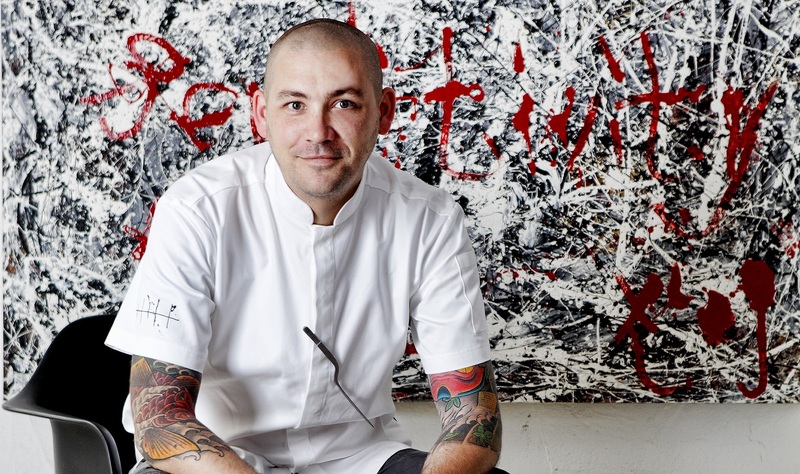 A stellar name on Singapore’s fine dining scene, the British-born Clift is best known for his Tanjong Pagar dining room, which ranked 31 on the World’s 50 Best Restaurants list this year. Specialising in inventive and artful tasting menus and cocktails to match, the Tippling Club is also a regular fixture on Asia’s 50 Best Restaurants and Asia’s 50 Best Bars lists. 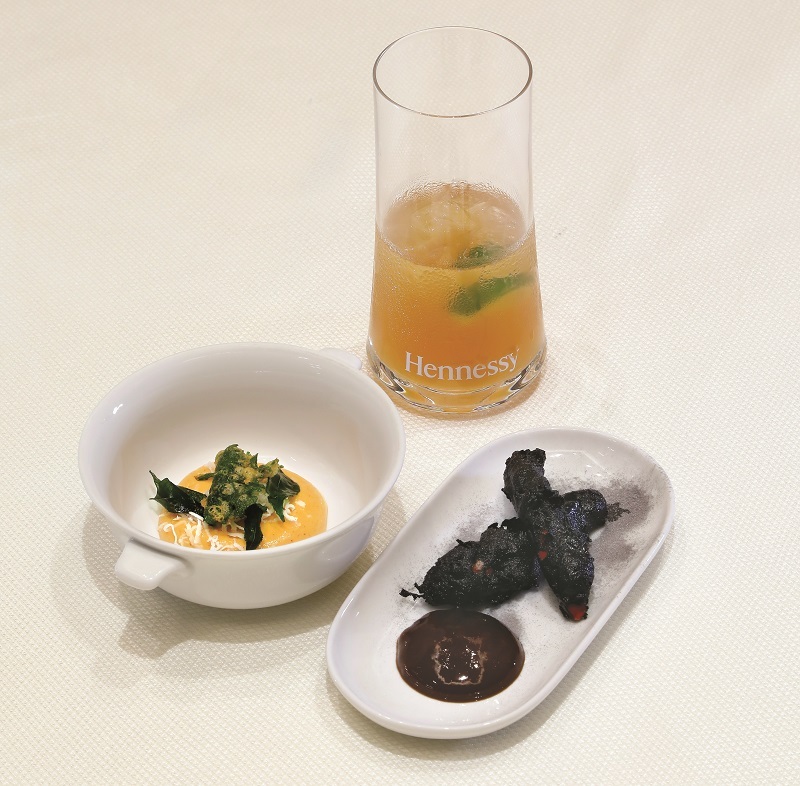 The menu offered a small sampling of Clift’s culinary repertoire and paired tipples from the French cognac house of Hennessy with his clever cuisine. 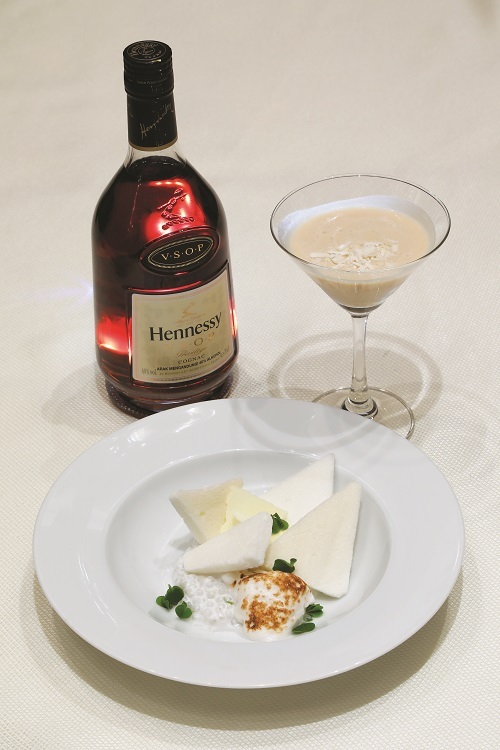 The evening began with a refreshing Hennessy VSOP Highball cocktail alongside two interesting molecular gastronomy snacks. The first was a condensed tom yam curry topped with grated coconut that whetted the appetite with each spoonful. The other was a plate of charcoal-coated capsicum slices fittingly paired with a deep burgundy-coloured soy sauce and wasabi dip. Serving staff walked around the room offering a selection of breads. My favourite was the subtle yet satisfying blue cheese-flavoured bread. The dishes that followed, in all their vibrant hues, were as much a feast for the eyes as for the palate. Delicate Petuna ocean trout was incredibly tender and so fresh that it seemed to melt in my mouth. The accompanying beetroot, smoked ox tongue and horseradish cream gave the dish just the right balance of textures and flavours. Paired with the trout was the Hennessy VSOP Radicle cocktail, a heady drink with a sweet, citrus twist. Up next was a comforting bowl of roast leek and potato consommé poured over parsley root that was delicately topped with drops of parsley chlorophyll and pretty wild herbs. The consommé — more of a thick soup, really — was wholesome and heart-warming. A classic combination, the leek blended beautifully with the potato, which gave the dish a pleasant, slightly floury texture. Next on the menu was a large slice of wild turbot served with faux squid risotto, lobster, turnip and watercress emulsion. This was a very lightly flavoured dish and, to me, rather underwhelming. But the dish that followed more than made up for this — it was no surprise that the star ingredient was one that the Tippling Club is well known for — A4 Toriyama wagyu. The juicy beef, lightly covered with a thin skin of horseradish burrata, was just waiting to be unveiled in all its medium-rare glory. It was served alongside Japanese fruit tomato and artichoke for a balance of flavours and textures. Both of these dishes were served with the elegantly complex and bold Hennessy X.O, which enhanced the meat. A blend of 100 eaux-de-vie and aged for up to 30 years, the original X.O cognac, created by Maurice Hennessy back in 1870, needs no introduction. The familiar notes of candied fruit, wild cocoa, spices and pepper tease the taste buds with every sip of the beverage. Just before dessert, we sampled a quirky treat inspired by Clift’s love for science fiction. A medicine bottle containing some tablets, a “space rock” and a card with a spaceship on it was placed before us. 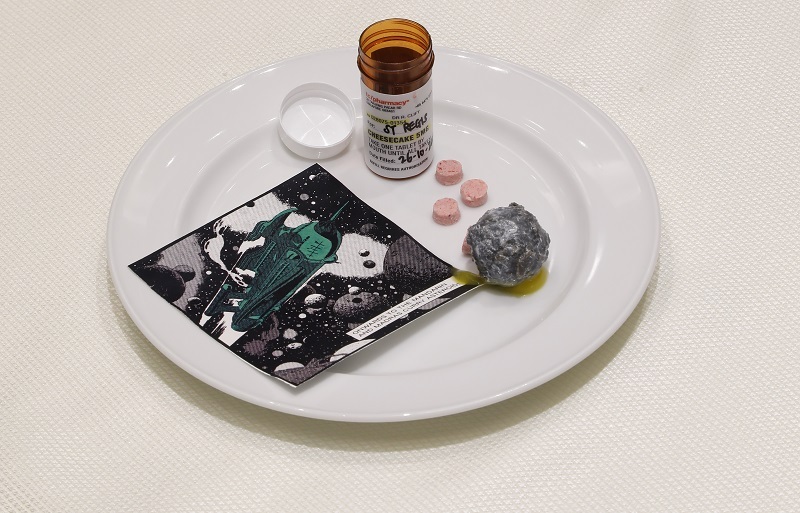 We later found out that the tablets were in fact a whole cheesecake freeze-dried into a tiny pill while the “space rock” comprised mandarin orange sorbet and Madras curry encased in chocolate. Clift explained how he was once commissioned by Nasa to take an astronaut’s suit that had been worn in space and put it through a mass spectrometer — used to analyse scents for perfumes — to determine the scent of space. “If you sniff the spaceship on your card, you will find out what space smells like,” said Clift. The result was mandarin and Madras curry, explaining the inscription on the card, which read, “Onwards to the Mandarin and Madras curry asteroid”. Dinner drew to a close with yet another dessert — a coconut-themed one this time — with multiple textures, complemented by the Hennessy VSOP Coco Loco cocktail that was thick, strong and almost a dessert in its own right. For that wonderful evening, three prestigious brands came together — Clift’s Tippling Club and Hennessy’s more than 250 years in cognac making converged with the classic sophistication of the St Regis. A KL trifecta? Assuredly.